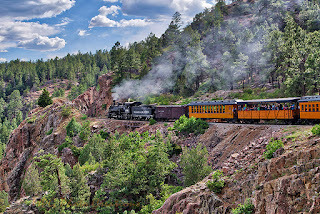 Today's image was taken from the train while riding the Durango & Silverton Railway. 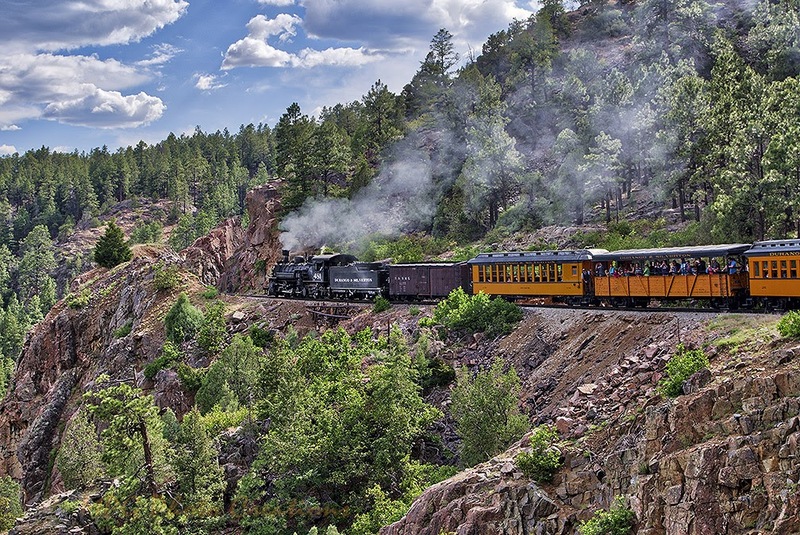 The train was on the High Line as we were heading back to Durango. I like to sit near the end of the train to get images such as this when it is in curves. We were only moving along at about 5 mph here due to the steep drop off so that helped in getting a good photo as well.